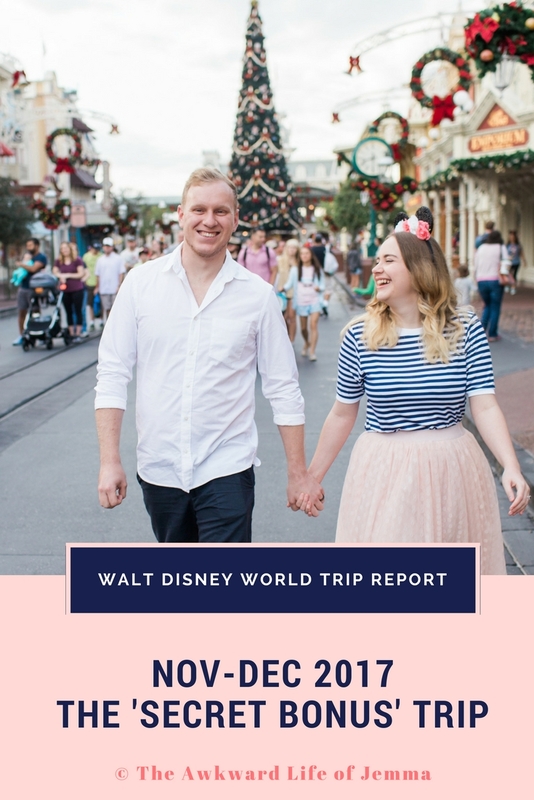 Trip Report | Rope Drop to Kiss Goodnight at Magic Kingdom! We left our room bright and early to get to Magic Kingdom before it opened. It's a bit of a trek being the furthest park away, and needing the ferry boat or the monorail to get there so we left ourselves plenty of time and were able to get a prime spot to watch the welcome show. I'm so glad we made it as the Main Street Station show has now been replaced by one at Cinderella Castle but without the citizens of Main Street there to wish you good morning it just isn't the same! It was the perfect start to the day and it continued as Zip-A-Dee-Doo-Dah blared out from the speakers as we took off down Main Street waving at cast members. 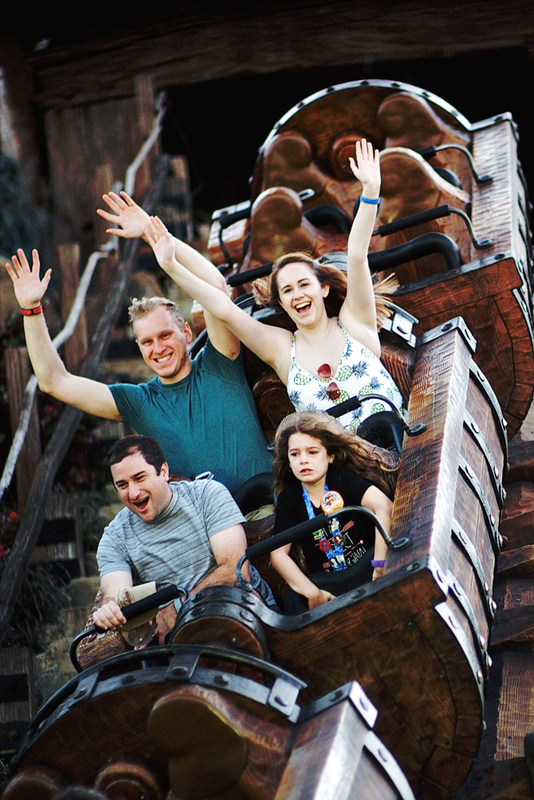 There's no need to guess where we headed to first, the same as everyone else, straight to Seven Dwarfs Mine Train! There were already a lot of people walking the length of the line despite it not even being 9am yet but it did keep moving for the most part so we didn't have to wait long at all and it gave us a chance to play with some of the interactive queue. The ride was just as good as we remembered it although not as fast, perhaps because we lacked the adrenaline of coming off a 9hr flight! Having got the ride that gets the longest wait out of the way (making rope-drop well worth it) we backtracked to Tomorrowland which would normally be our first land of the day. As we headed in we joked that there were probably more people in line for 7DMT than in the whole of Tomorrowland, and I don't think we were wrong! 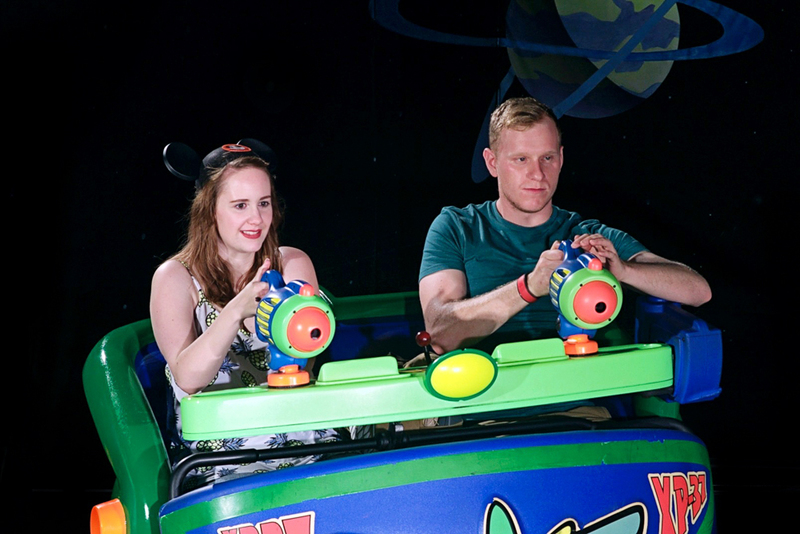 We practically walked straight on to Space Mountain, which is still one of our top favourites, and Buzz Lightyear Space Ranger Spin although Harry didn't quite meet his goal of getting 999,999 this time. After getting another two popular rides under our belt we decided to relax a little and take a chilled out spin on the Peoplemover, that was until it stopped and sent us backwards into the darkness of a tunnel! Luckily it wasn't long before we were moving again as we could see Tomorrowland in all its glory. Next we headed back over to Fantasyland to fly with Dumbo. Sure you may think it's just for kids but there is something special about soaring high over Magic Kingdom and it only made me more excited and determined to ride Astro Orbiter too. Afterwards I spotted the Big Top Souvenirs tent and suggested taking a look at the snacks. While we were there we also took advantage of the embroidery service inside to get our names sewn on to our chosen hats, a Mickey Mouseketeer one for me and an Oswald one for Harry, who also got himself a caramel peanut apple ($10.99) which was was huge but surprisingly tasty. This had to be one of my favourite stores in the whole of Disney for the variety of merchandise, treats and theming! Now you'll notice that I didn't pick up a snack there and that's because I was holding out for a cinnamon bun at Gaston's Tavern but on our way there we noticed that Under The Sea - Journey of the Little Mermaid was a walk-on so we decided to have a little sing-along on the dark ride first. When the time came I ate the massive bun almost all by myself, it's by far one of the best uses of a snack credit at Disney but also a bargain OOP too ($4.49). Unfortunately by the time we left his Tavern and got in line to meet Gaston himself he was taking a break so we moved onto our first Fastpass+, The Haunted Mansion. 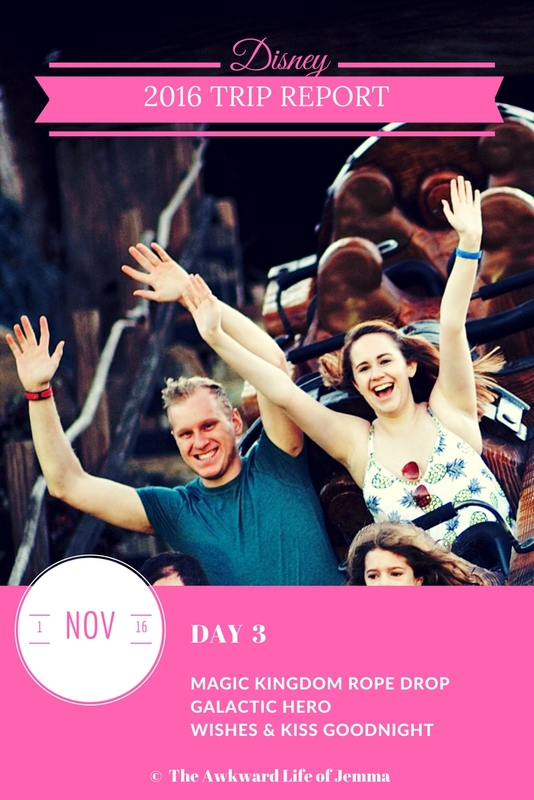 Once some friendly ghosts had hijacked our doom-buggy and followed us home we decided to do something we'd never done before and explore Tom Sawyer Island. It was a bit of hassle to get there as the raft operators were being trained and it took a long for the rafts to be loaded between sailings but once we did we found the island to be mostly deserted. There's a lot of room to explore (very dark!) caves, rickety buildings, and bridges but ultimately it's more fun for smaller children so it didn't take us long and we soon headed back over to Frontierland where our Fastpass+ for Splash Mountain was waiting. The ride had been closed all morning so far so we were really glad to spot it running again from across the Rivers of America. We didn't get too soaked although Harry did seem to get more wet from the waterfall next to our queue of boats waiting to unload! By now we'd worked up an appetite (9 rides down so far if you're counting!) so we stopped off in Pecos Bill Tall Tale Inn for some lunch. Harry picked the Fajita Platter with Churros for dessert, while I had the Beef Nachos and swapped my dessert for a pot of Queso ($40.35 inc drinks). This is one of my favourite Quick Service restaurants as the food is good, and the huge variety of toppings makes it great value too. As we left we had some time to kill before our next Fastpass+ and the parade but with Pirates of the Caribbean having more than a 40 minute wait we decided to do something else we'd never done, The Enchanted Tiki Room. Now I'm not sure what either of us were expecting, but the singing audio-animatronic birds, flowers and Tikis left us a bit bemused! 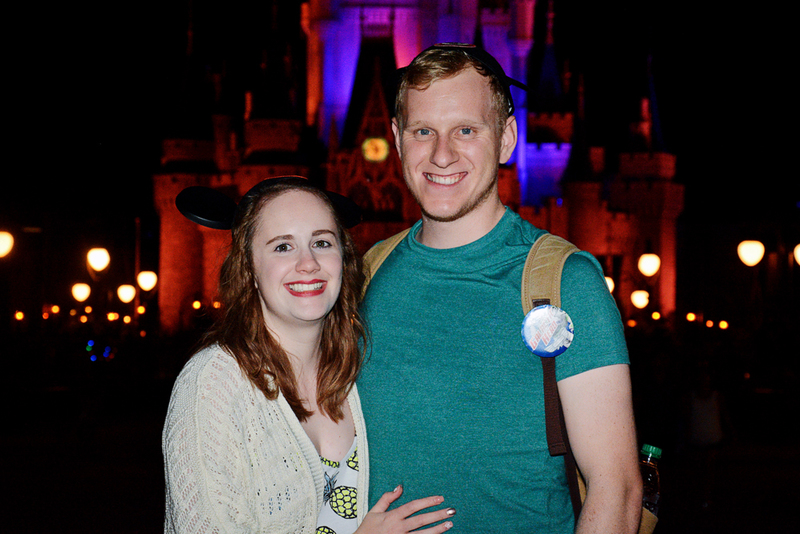 Our Fastpass+ for Jungle Jingle Cruise had now opened up so we hopped on a boat for a festive 6-Week journey down the rivers of the world. It seemed that our fellow passengers weren't aware of what they had let themselves in for but we duly laughed along at our Skipper's Christmas puns despite it being only the 1st of November. 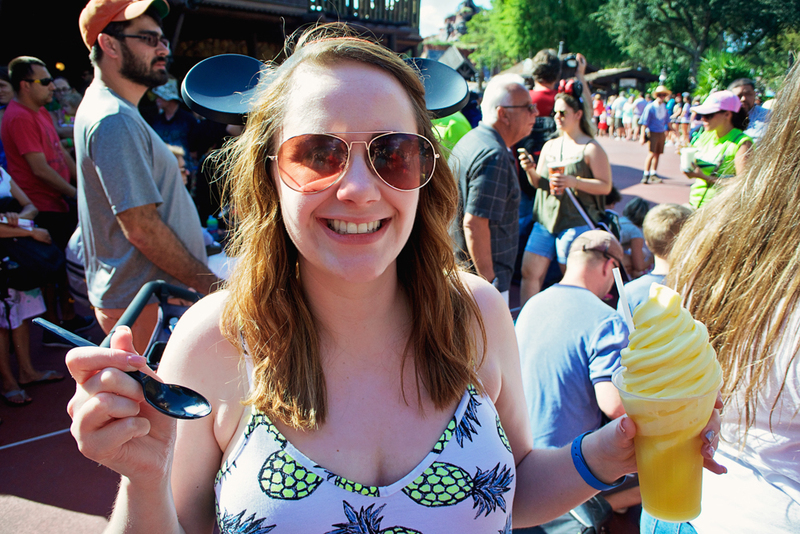 Once we'd made it back to dry land it was almost 3pm which means one thing - Festival of Fantasy but I opted to get in line for a Dole Whip float ($5.49) first and although it melted and dripped everywhere during the parade I loved the sweet pineapple taste. The parade was great, the floats are a lot of fun and the Maleficent dragon really is a showstopper. We actually saw some of it twice as we watched from Frontierland, in the heat of the sun, and then headed out of the park to go home and cool off and caught up with it at the end of its route outside the Fire Station in Main Street. 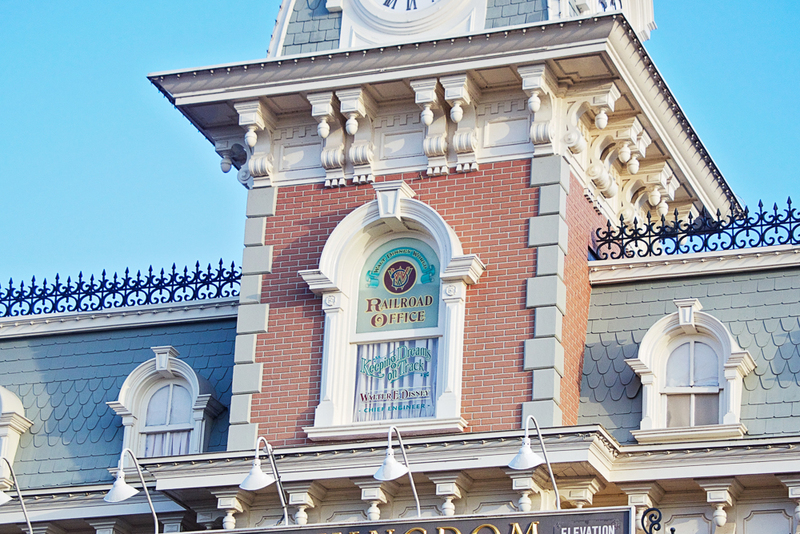 Once we'd taken a nap back at our room we headed back into Magic Kingdom and went to pick up Sorcerers of the Magic Kingdom cards at the Fire Station on Main Street. 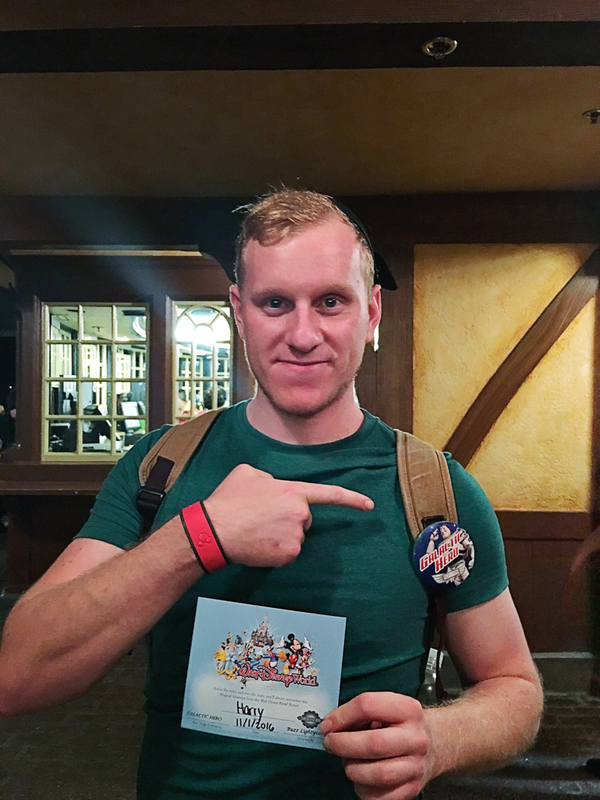 We'd never played before so the cast members there linked up my Magic band to the game and showed us how it worked before giving us each our first set of cards. From there we started a quest outside the jewellery shop on Main Street against Cruella De Ville. We didn't play for too long though as we wanted to get some more rides checked off! First up was another 'new-to-us' ride on the Tomorrowland Speedway. Harry drove and it felt like we were constantly knocking from side to side as he struggled to drive straight! With it being early evening it wasn't dark out yet but all of the lights were on, the perfect evening for a cruise! Afterward we took a spin on Mad Tea Party and Harry spun our teacup so fast all I could see were lights blurring all around me, fun, but not something I could do over and over! 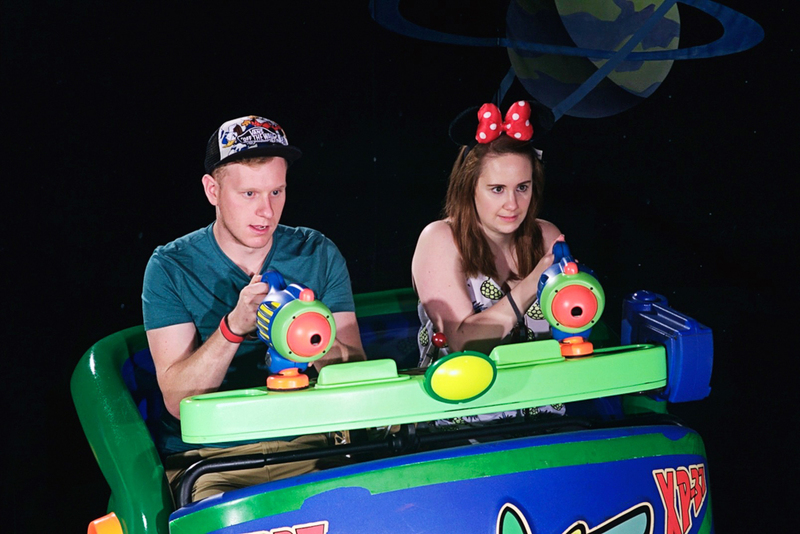 Once I could walk straight again we strolled over to Tomorrowland where the Incredibles were having a dance party and as they left to save the world we decided to take on the Evil Emperor Zurg. 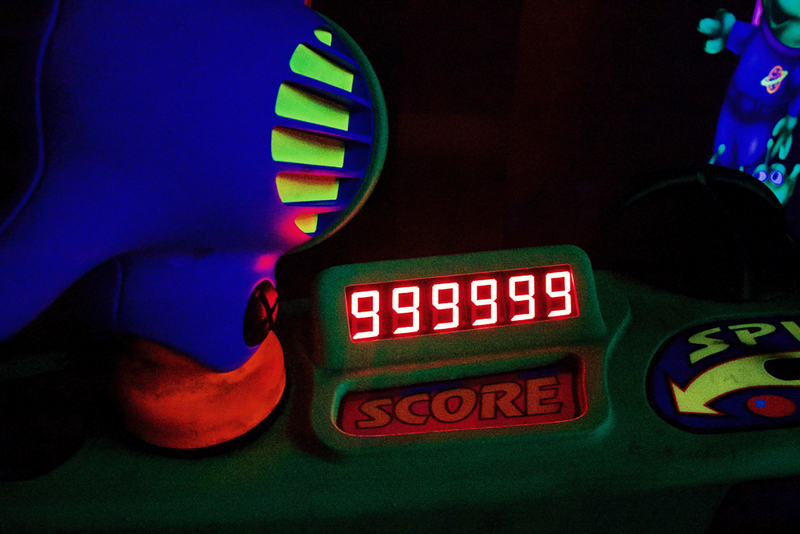 This time Harry knew where to shoot and he did indeed get 999,999 and became a Galactic Hero! He was even awarded a badge and a certificate for his efforts. By now it was getting late so we set off to get some food before Wishes. I opted for BBQ Pork topped Mac & Cheese from Friar's Nook ($15.49 inc. drink) while Harry ordered a Chicken Nugget meal and swapped his dessert for green beans at Cosmic Rays ($18.57 inc. drink). Sadly I much preferred the side of mac & cheese that came with his nuggets than my own! After we'd eaten we went back outside to watch Wishes from the bridge that connects Tomorrowland to the main hub. 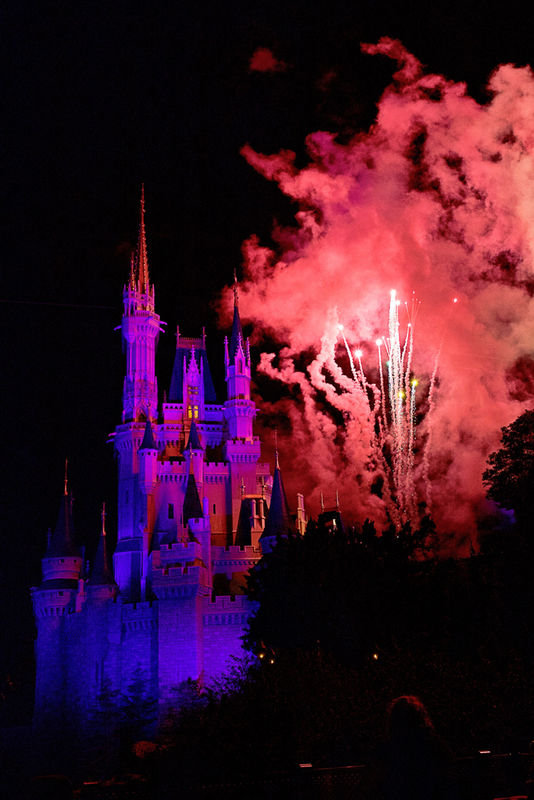 It's not the best place to watch from as the firework views are obstructed and the music isn't clear, but it is a great side view of Cinderella Castle which makes for some fantastic photos that aren't obstructed by huge crowds. 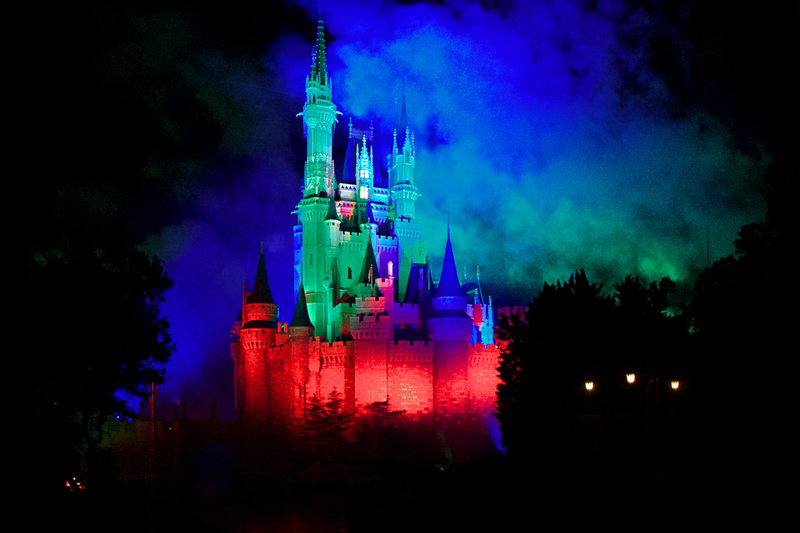 It meant that we had our own space to watch Wishes from with no-one in our way and that made it a lot less stressful! From there we were able to walk right back to Tomorrowland to get in a now-empty line for Astro Orbiter. Fun Fact - as we waited (and this ride is very slow-loading so we waited awhile) only adults seemed to join the line, no kids! Each pair of people were given a coloured plastic card when it was they're turn to go up in the elevator to the ride, in our group about 6 other adults joined us. 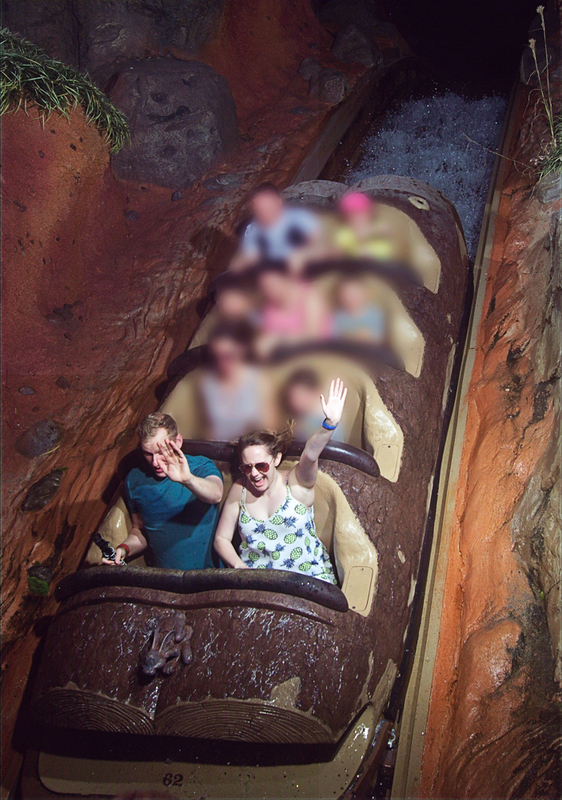 It goes to show that everyone can enjoy the rides at Magic Kingdom, even if you might assume they're 'just for kids'. 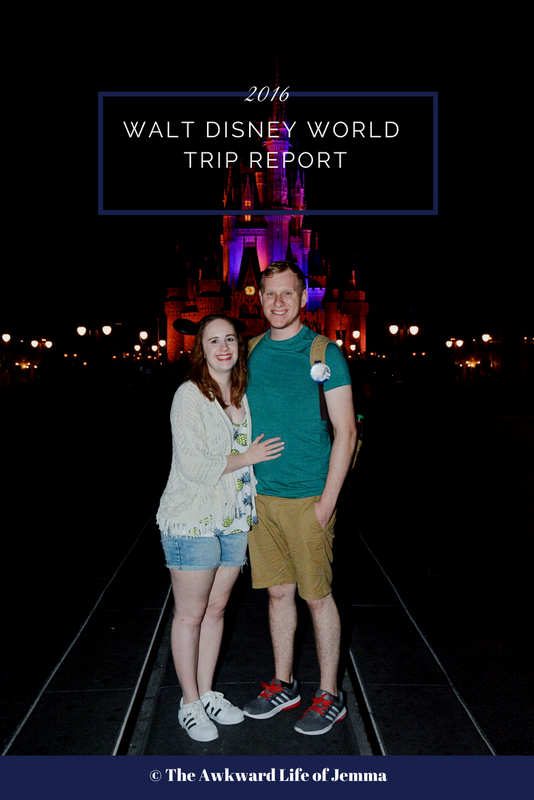 Once we'd boarded our rocket we soared as high as we could, which is actually very very high, and the views over Magic Kingdom, across to the Contemporary Resort and Seven Seas Lagoon made it totally worth it. 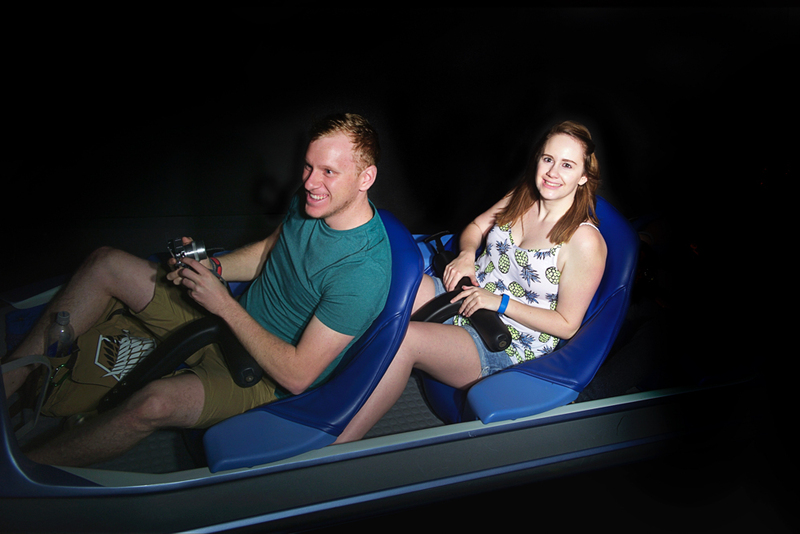 I 100% recommend riding Astro Orbiter late at night if you can! Now you may think that would be our last ride of the night, but no, we were able to cram in another before closing - right over the other side of the park! We raced from Tomorrowland through an empty Liberty Square to Pirates of the Caribbean in Adventureland. There was actually a bit of a wait but we made it before the park closed so we were able to board a boat and see what those pillaging pirates were up to. Afterward the park really was closed and our walk back toward the castle was dark and deserted but once we hit Main Street though there was still a ton of people! 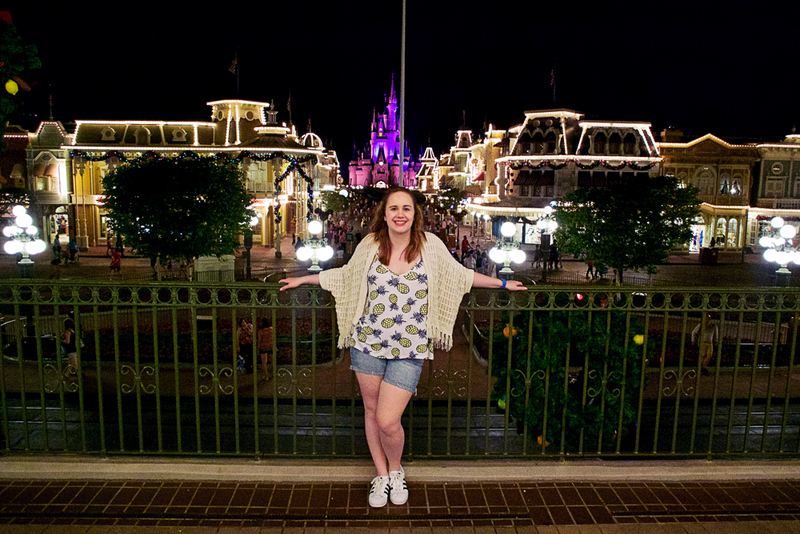 We watched the first Kiss Goodnight from the bridge next to the castle and I thought it was so special hearing Roy O Disney's dedication speech after a long day at the park. 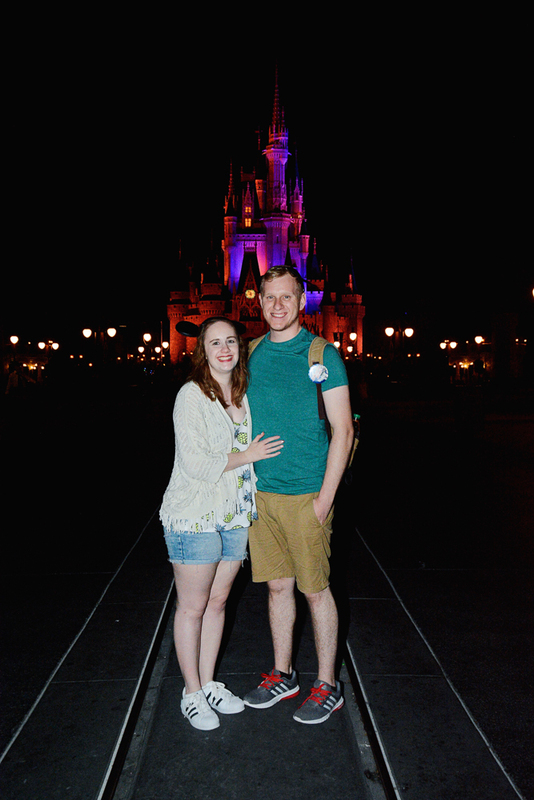 Of course when you're at Magic Kingdom past closing it's the perfect time to get photo pass pictures with hardly anyone in them so we got in line for one of the photographers and got our obligatory shots in front of the castle! 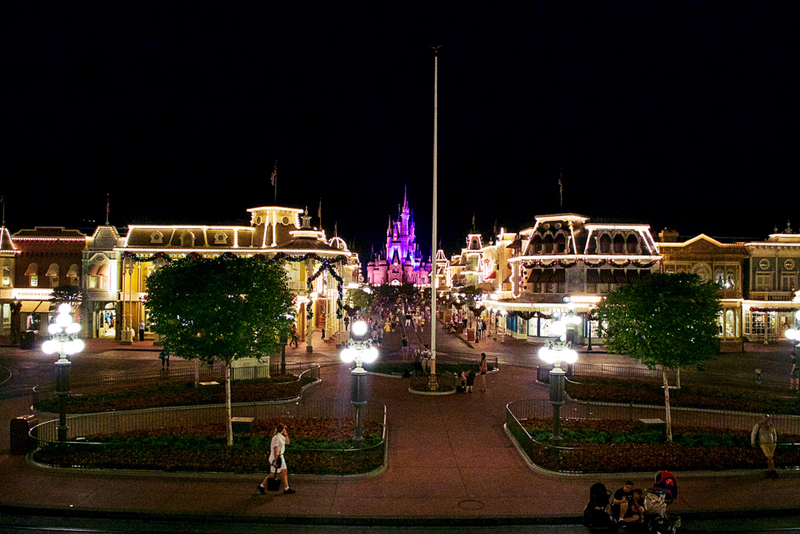 We then opted to sit in the hub grass and watch the next Kiss Goodnight. While we were there one of the castmembers brought round leftover cupcakes in individual plastic boxes to hand out to the remaining guests, a little bit of Disney magic! I was really amazed that it was now an hour after the park had officially closed and there were still so many people around, not even just on Main Street but coming through the castle from Fantasyland. Eventually we were just too tired to sit and enjoy the ambience any longer and strolled back down Main Street to catch the ferry or monorail home. 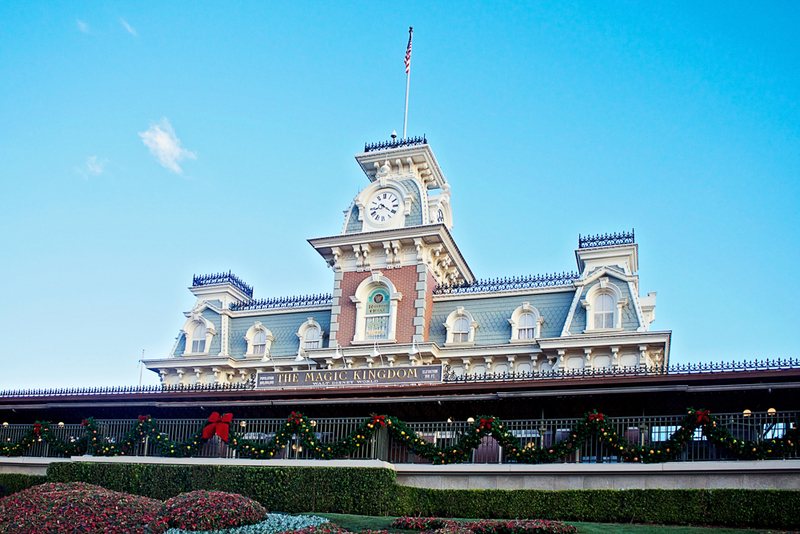 We couldn't leave without taking a couple of photos up at Main Street Station though! 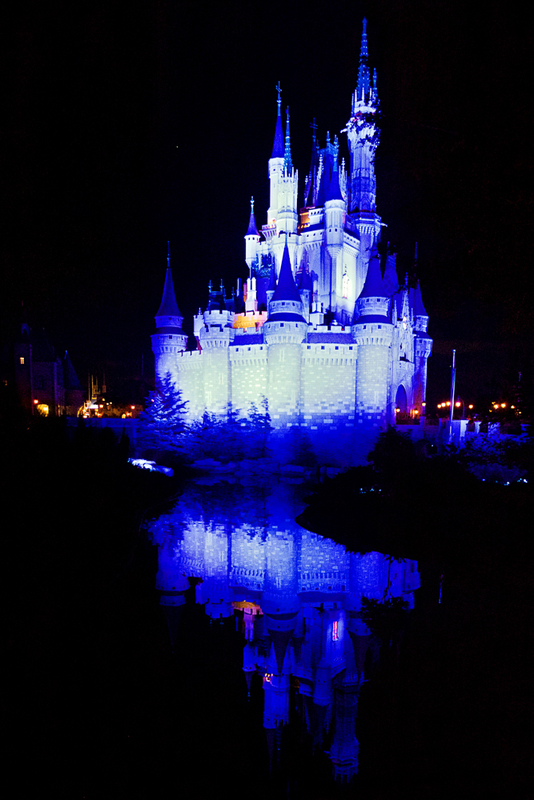 Read about the day after: Day 4 - Typhoon Lagoon, Shopping, EPCOT & Hoop-Dee-Doo Revue Review!